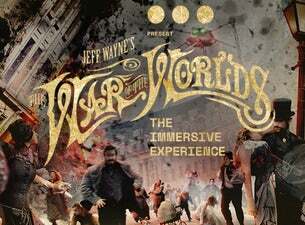 Jeff Wayne’s The War of The Worlds, the best-selling album that terrified generations over the last forty years, is being transformed into a pioneering immersive visitor experience, titled Jeff Wayne’s Musical Version of ‘The War of the Worlds’: The Immersive Experience, and is set to open on 31 May 2019. The multisensory experience will combine Jeff’s Musical Version, immersive theatre, virtual reality, augmented reality, holograms and other cutting-edge technology giving audiences the chance to live through the Martian invasion of 1898. Visitors will be thrust into the heart of the story from the moment they step inside The Old London Metal Exchange; a 22,000-square foot multi-level site in Central London being transformed for this unique Martian adventure.